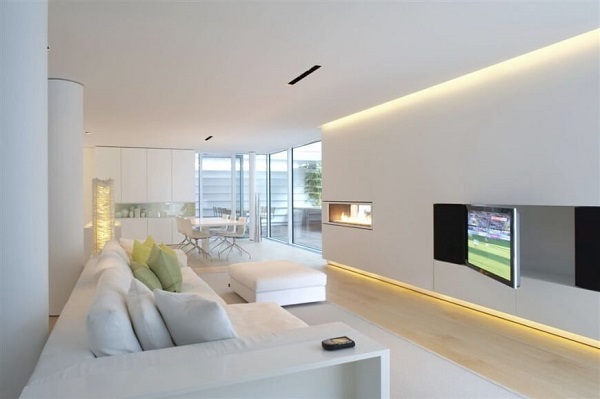 Hanukkah is around, so it’s the perfect time to think about what to do to decorate our living room to welcome the day. Obviously, you can’t let your living room looks boring when you have all the guests and family visit your home on Hanukkah day. You may have known that candles,A�bluish and silvery stuff are the must-have decor to make the ultimate Hanukkah decoration. You have to make it as dazzling, sparkling, and warm as possible since those words are surely the Hanukkah goals. Buying the Hanukkah decoration is not a bad idea since you can find them easily on the stock market, but where is the fun then? So, creating your own Hanukkah decoration is surely a much better thought, there are so many inspiring ideas that you can copy on the internet. 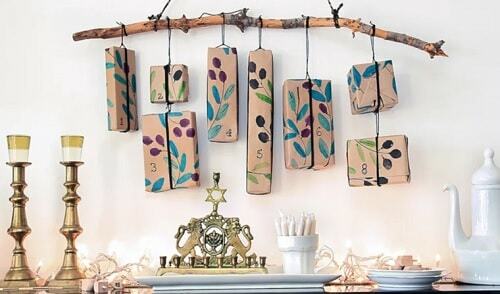 Here, we have summarized 20+ smartest and easiest DIY Hanukkah decoration that you can put in your living room. 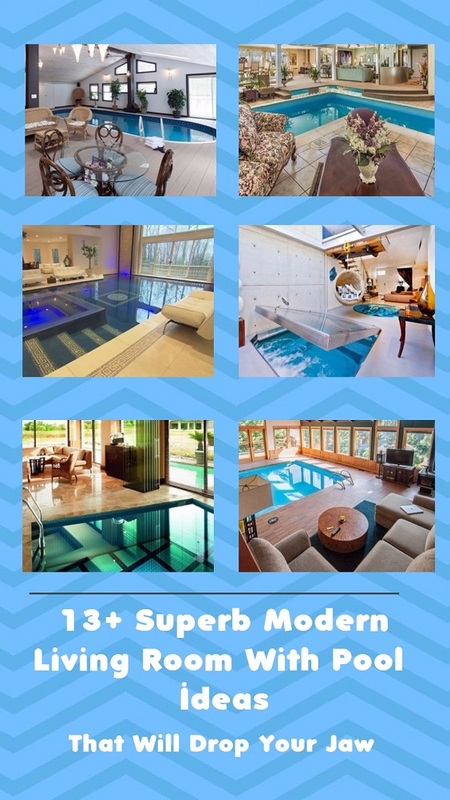 They are made by some super creative homeowners that will blow your mind! This one comes from Martha which you definitely have to try. You’ll just need a short branch, some candles, and sterling silver craft paint. 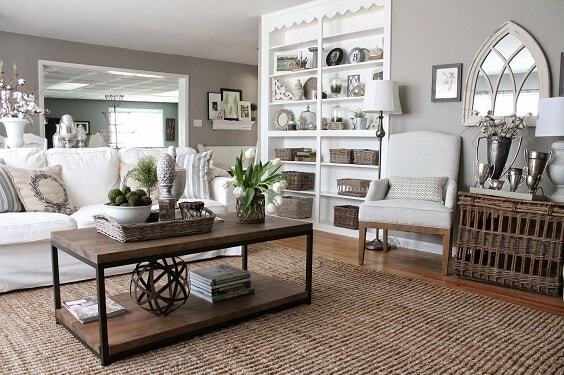 It would be a very beautiful decor to beautify your living room’s side table or dining table. If you are about to install a string light in your living room this Hanukkah, this idea will make the light look way more adorable. 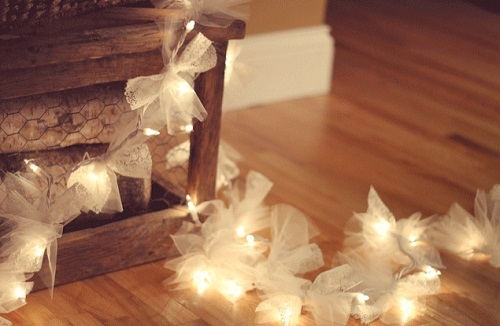 Go grab some tulle, make some bows, and attach them to the string light. 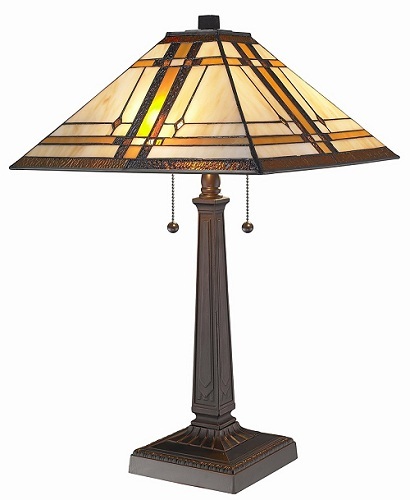 Imagine having this gorgeous light hung above the fireplace, not only the beauty, but the warmth of your living room will be felt more exhilarating. The catchy decorative gift display that looks so unique yet very easy to make. 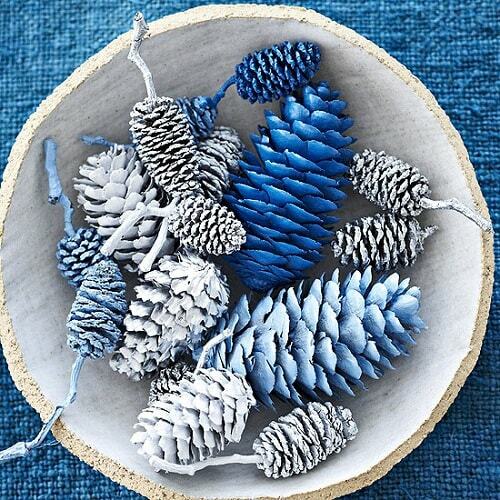 It’s a beautiful nature-inspired decor that you can use both for Hanukkah and Christmas. This is a cute decoration that will enhance the cuteness of your coffee and dining table in no time. The coaster is made of wool, felt, and choco pen. You can easily make them with a very low cost but the result is surprisingly catchy! 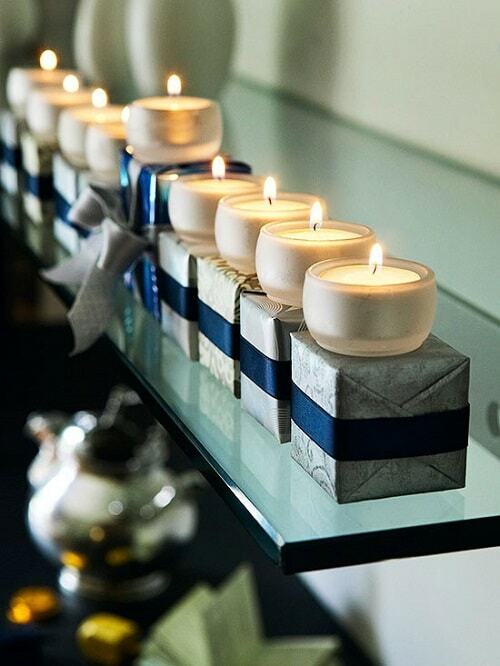 It’s a simple, piece-of-cake yet a very mesmerizing Hanukkah decoration to make your living room look so beautiful. 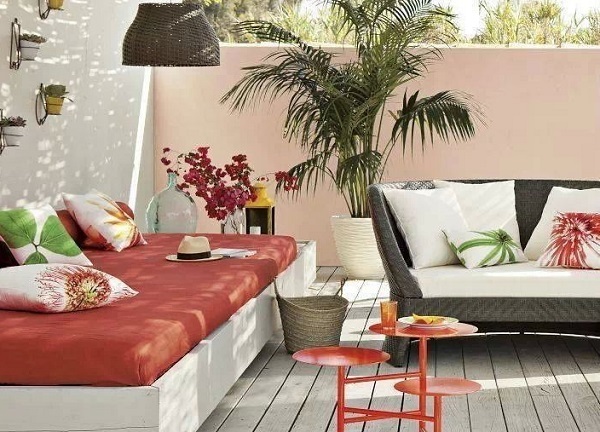 You’ll only need some shades of spray paint and color them as you wish. 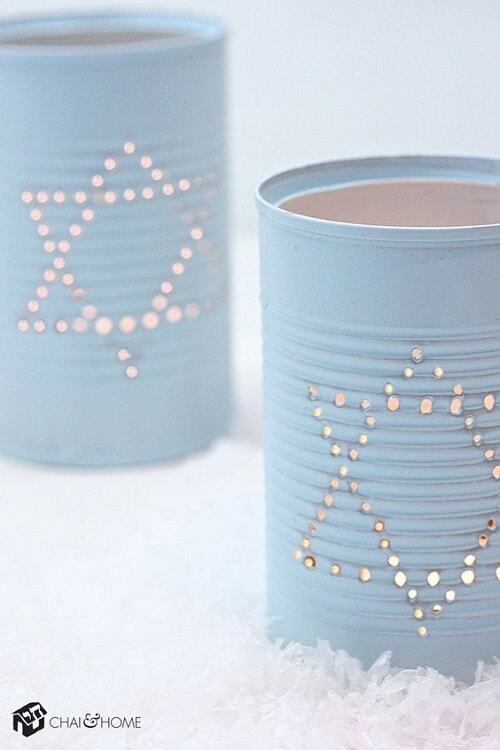 Go grab some used cans, spray-paint them with pastel blue, then draw your Star of David. Place a battery-operated tea light inside, and your Hanukkah Can Lantern is ready to set on your living room’s side table or TV console! 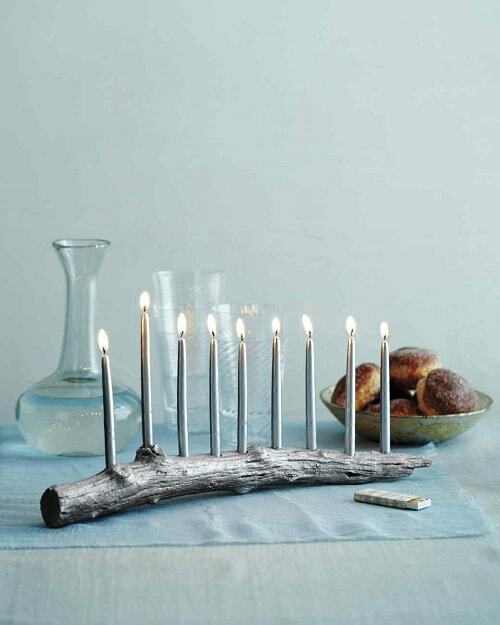 Love something freezing for your Hanukkah decor? 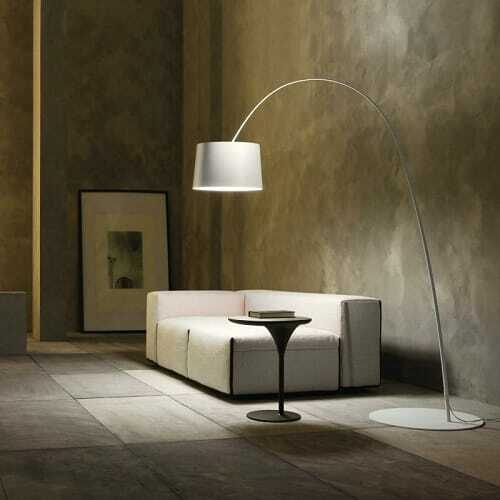 Then, this candle holder will be a very stunning addition to put on your side table. The crystal is made of the dyed Epsom salt that brings the jar to a whole new look. 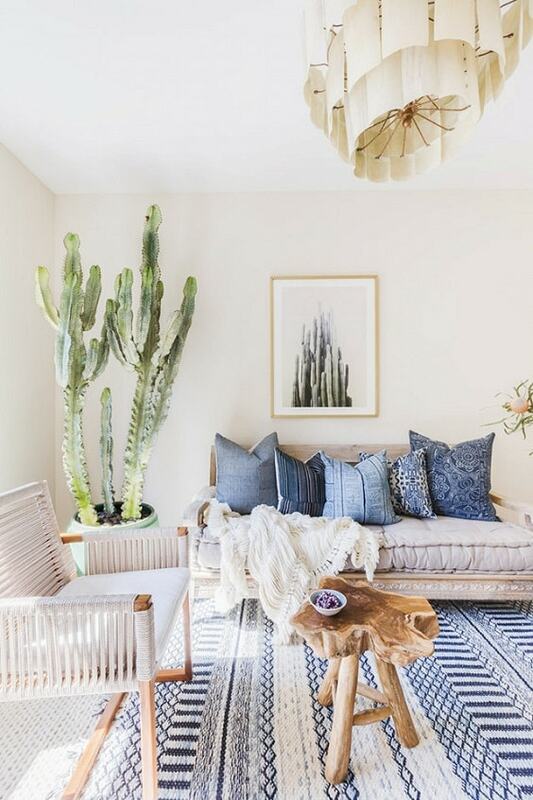 Don’t let your Boho taste wasted for your own Hanukkah decor, and this idea will be a great choice to add such style without losing the essence of the day. 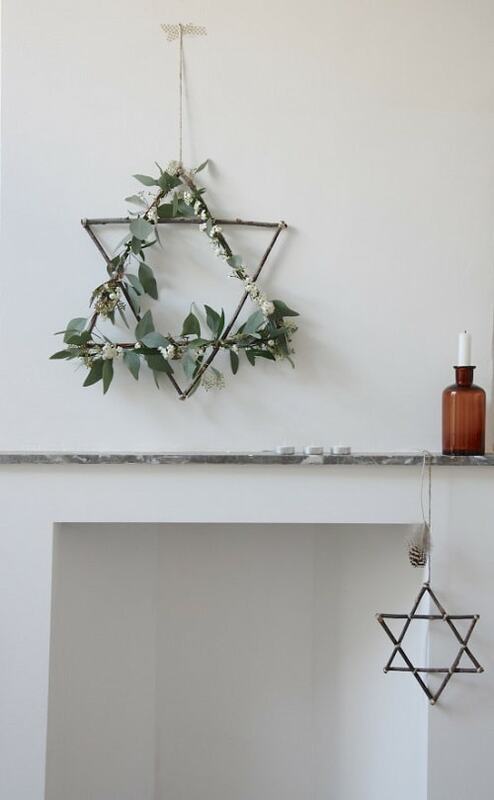 This beautiful Star of David is made of some branches or a natural-designed Chrismast star and some greeneries. 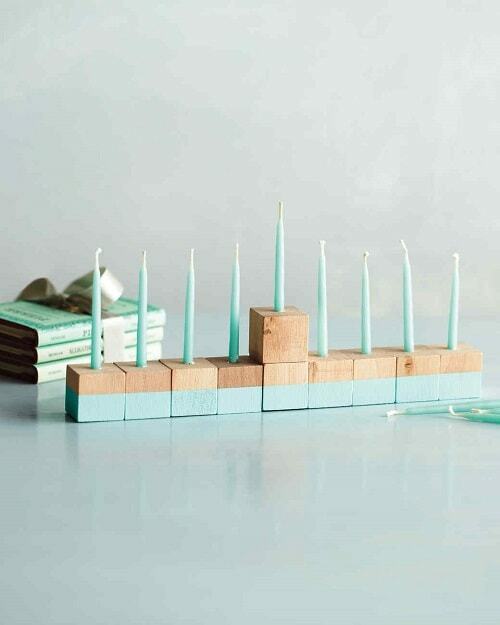 A unique and gorgeous menorah which is made of the wood beads that you can easily make at home. 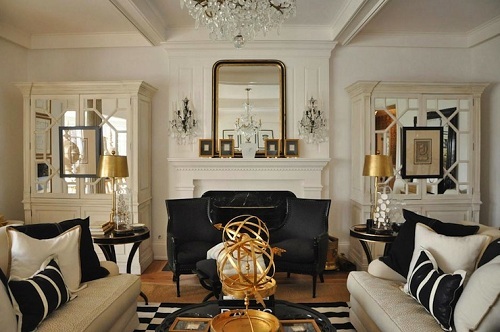 It will surely be one of the focal points for your living room’s Hanukkah decoration. Have some wax papers scattered around your kitchen? 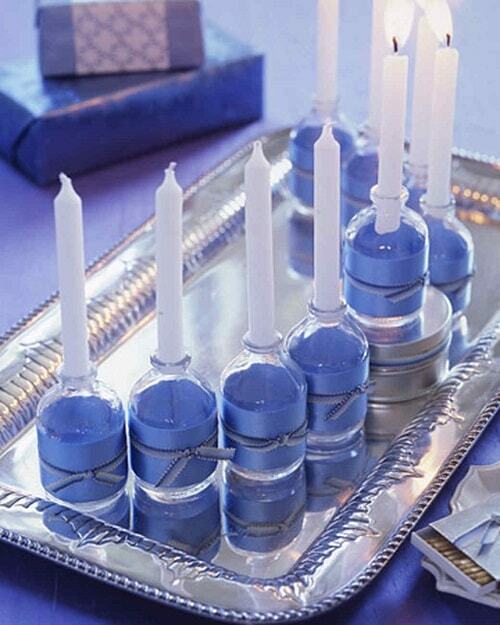 Try this Hanukkah decoration idea which is made of the wax papers and battery-operated tea light. You just need to fold the papers, insert the light, and the lantern is all done. 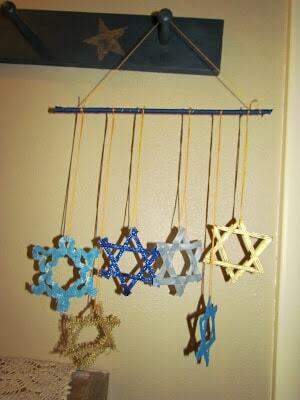 It’s very exhilarating to have some hanging Stars of David in your living room, and this one is very easy to create. 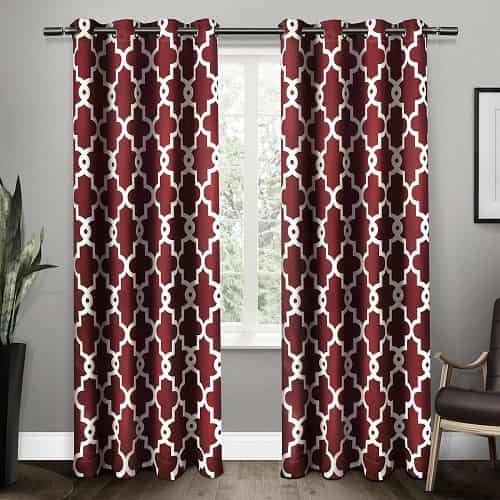 You’ll need to prepare some different fabrics, fabric stiffener, and embroidery floss. 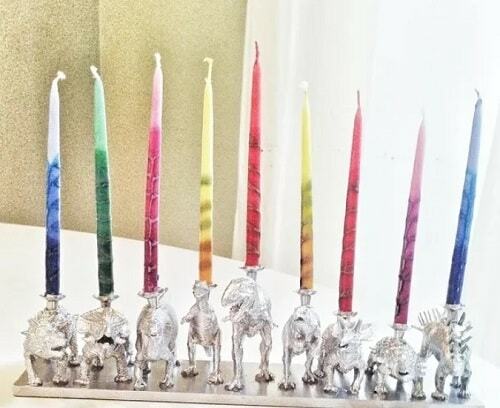 If you have some ‘left-over’ dinosaur figurines that your son is no longer interested about, turn them into this unique menorah and put it on your side table. Spray-paint them with silver spray paint, then stick a candle holder on the dino’s back! This one is for you who have a little bit of carpentry skill. 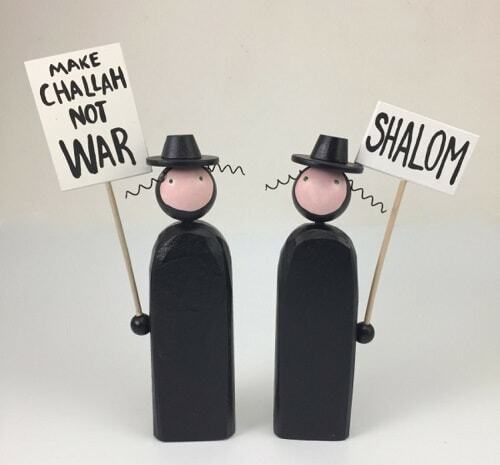 The Rabbi figurines which look so cute to add a more distinctive touch to your Hanukkah decoration for living room. You will not have a fun Hanukkah without some dreidels scattered around your living room, right? 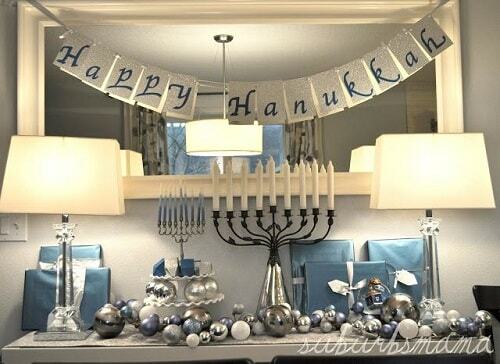 So this Hanukkah decoration idea will be a super fun decor to beautify your living room this winter. 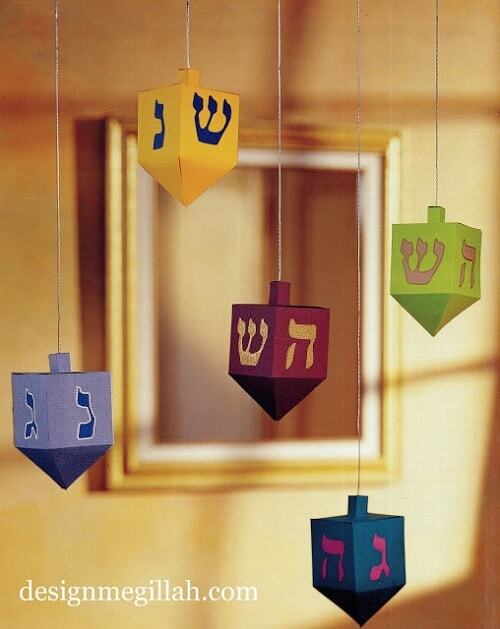 Yup, today you can find so many unique menorahs to be a part of your Hanukkah decoration. Here, some boxes are wrapped in the silver and blue ribbons which look elegant and cute at the same time. 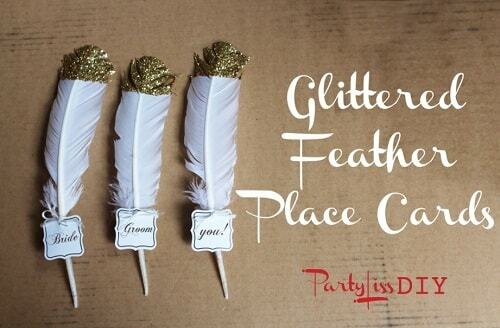 Make this glittery feather to add some sparkling touch to your Hanukkah decoration. You can use the feathers to stick some small cards. 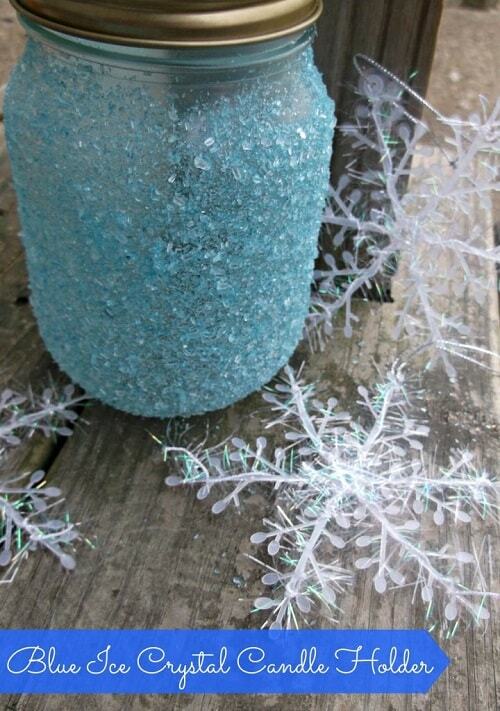 Wrap some mini glass bottles with blue construction paper then knot a ribbon to make it look more beautiful. 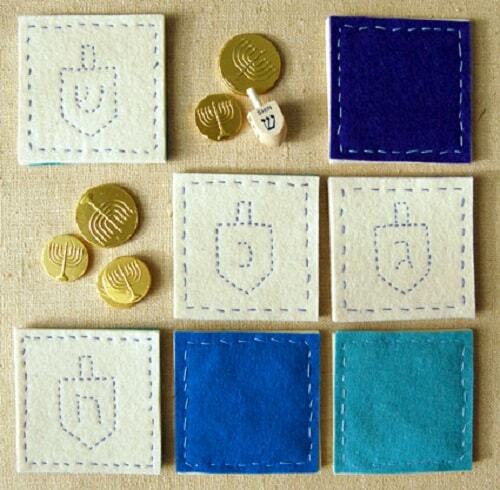 You can get this mesmerizing Hanukkah decoration done in 5 minutes. 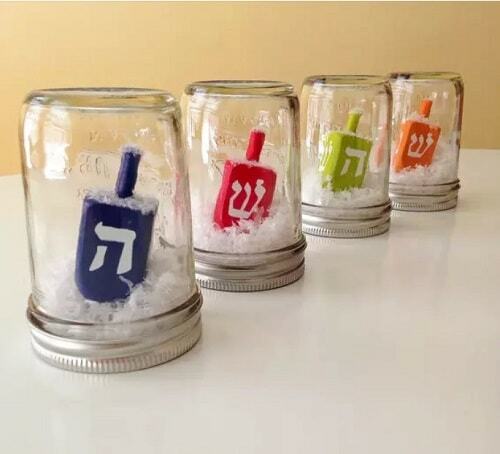 Create a unique snow globe by copying this idea for your Hanukkah decoration. The dreidels are stuffed into the mason jars with the white paper. It looks creative, cute, and unique at the same time. 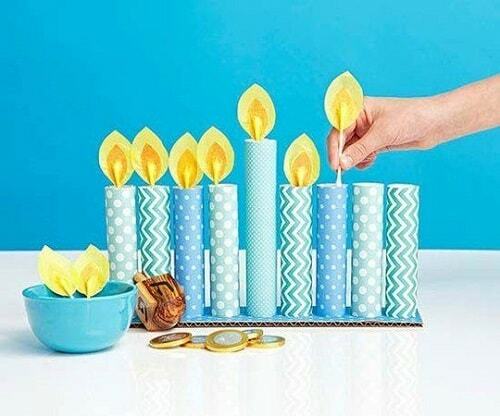 This one is a kid-friendly candle for your Hanukkah decoration, it will make the decor look so cheerful. 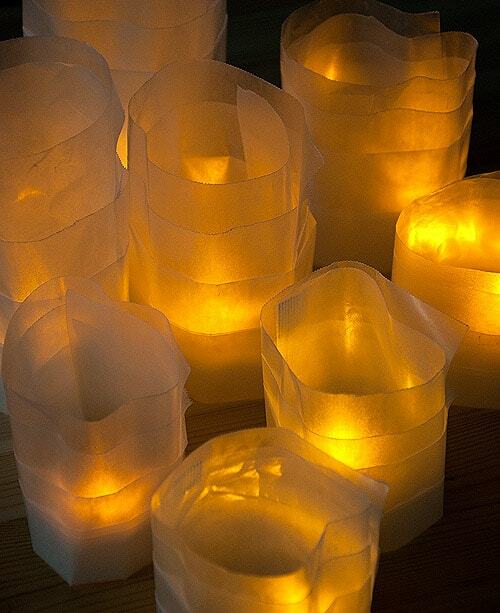 Just find some decorative paper and design the candles as you wish. 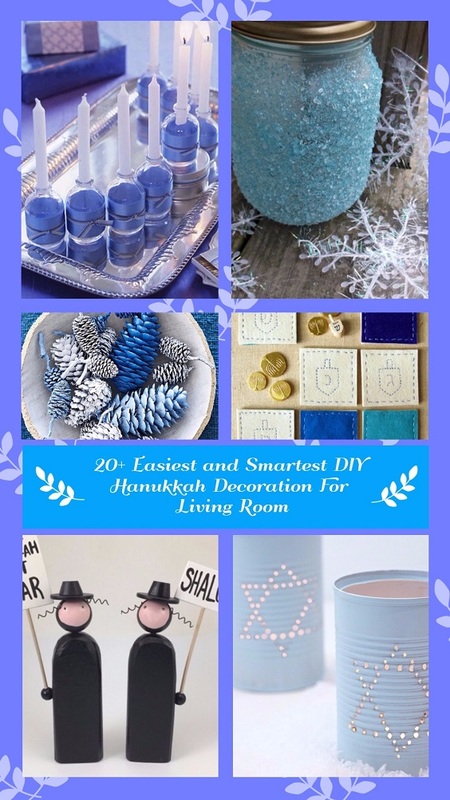 So those are some beautiful DIY Hanukkah decoration for the living room that you can try at your home easily without costing you lots of money. 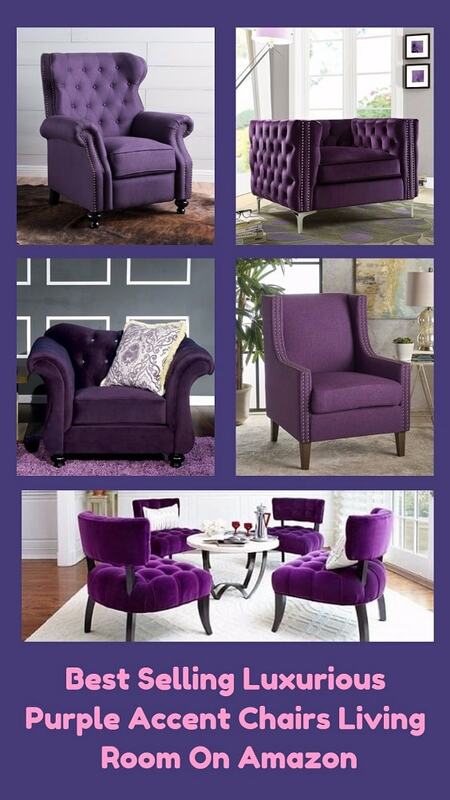 Choose the ones that match the overall look of your living room to make it look as beautiful as it can be. 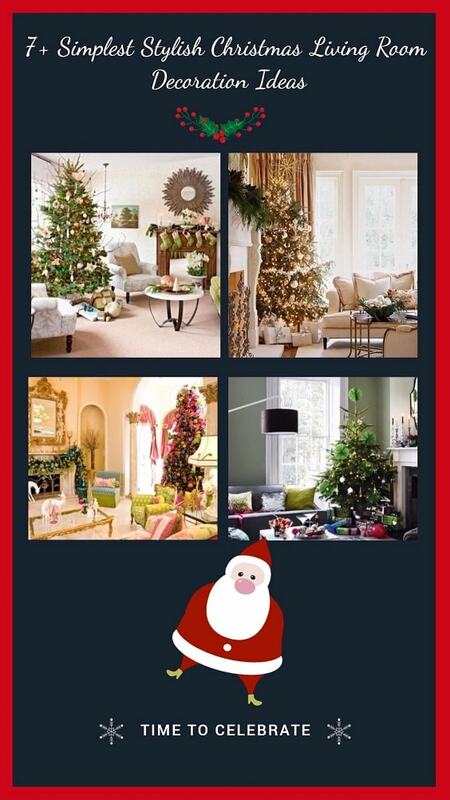 After all, happy decorating your living room and have a sparkling Hanukkah!